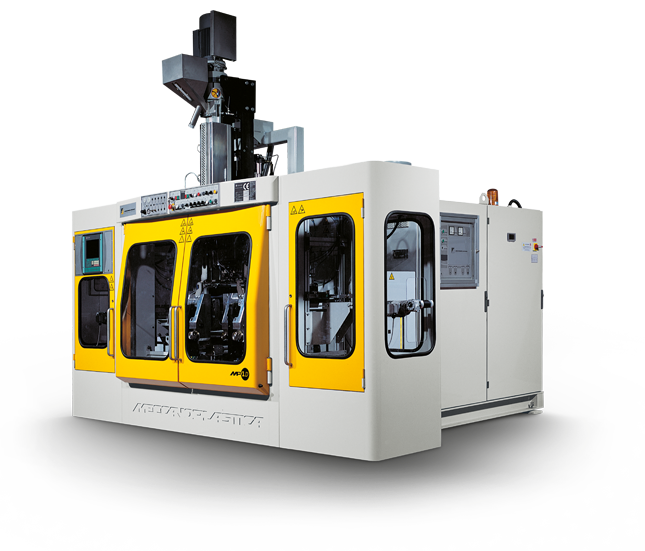 Meccanoplastica was established in 1983 as a manufacturer of Continuous Extrusion Blow Moulding machinery for plastic materials. 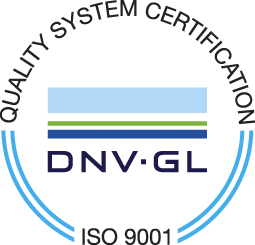 With more than 30 years of experience and countless technological innovation, this is still one of our strong suits both in Italy and on international markets. 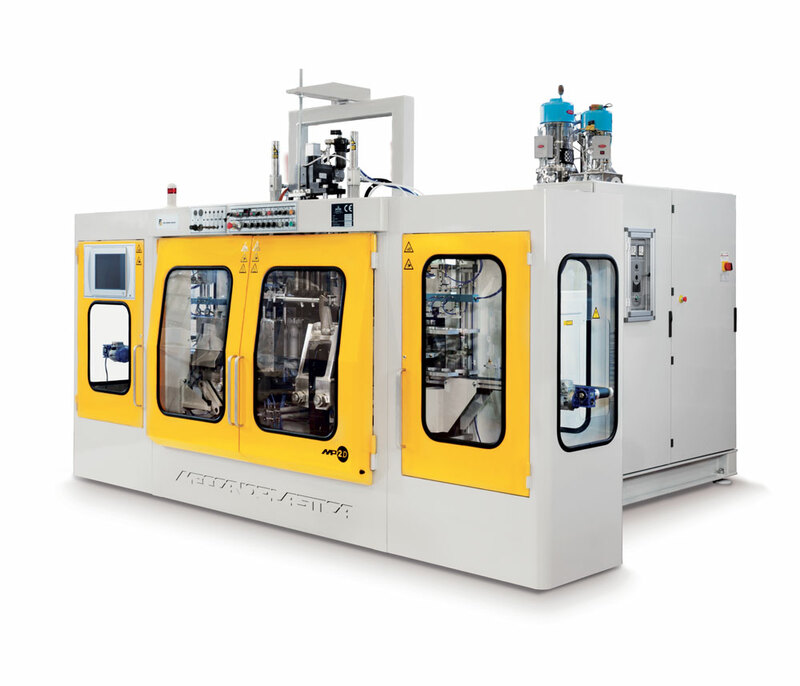 We can manufacture an extremely wide range of Hydraulic, Hybrid and Electric Extrusion Blow Moulding Machinery to make single-layer and multi-layer containers, ranging from 5ml to 25 litres. 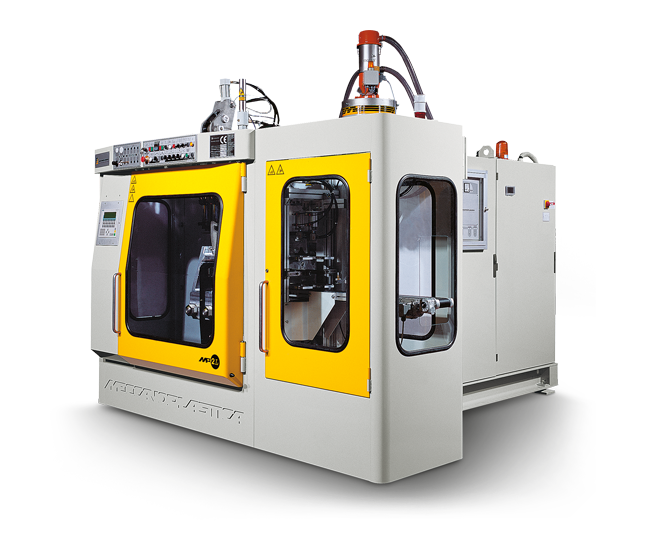 The Continuous Extrusion Blow Moulding machines in this series provides a Mould carriage stroke on 15° inclined-columns. 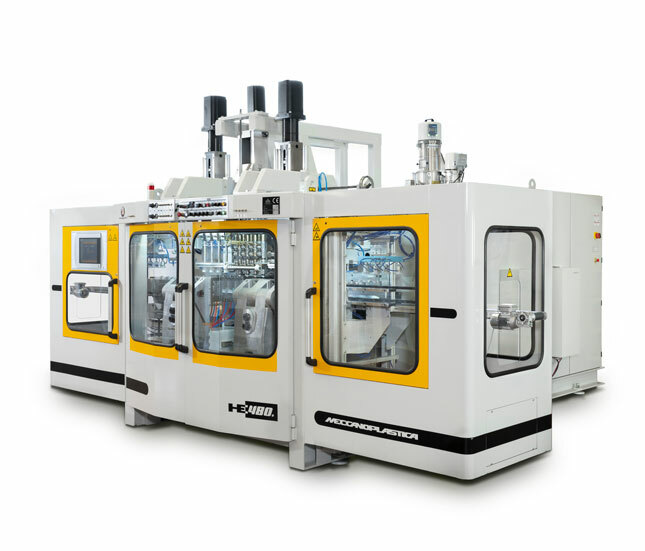 This series is suitable to produce 5ml containers, up to a maximum volume of 5L. 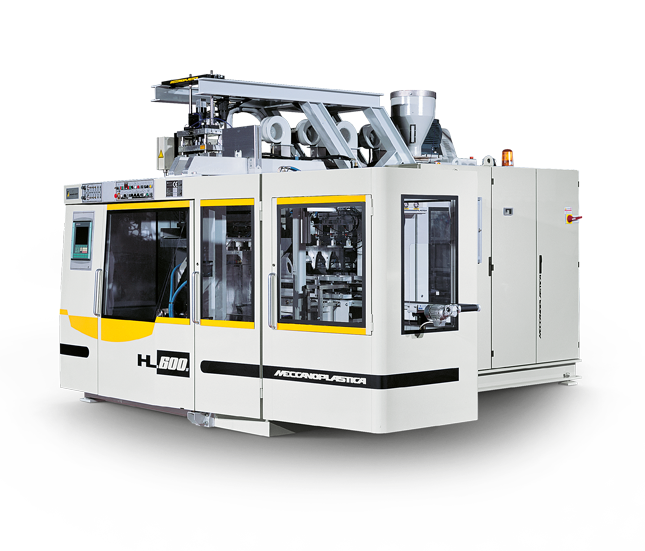 This series includes both hydraulic and hybrid machinery. FIT to make bottles for the Cosmetics, Pharmaceutical & Food industry with volumes ranging from 5ml to 1L. 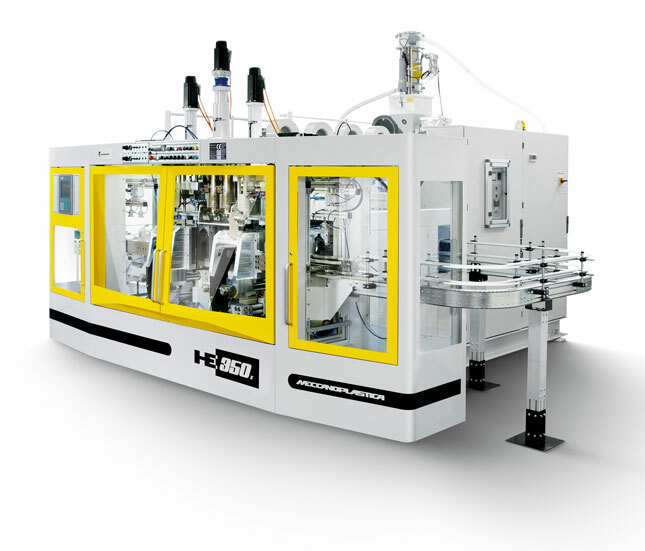 FIT to make bottles for the Cosmetics, Pharmaceutical, Food and Cleaning industry with volumes ranging from 5ml to 2L. Mould Clamping force 9.5 tons. 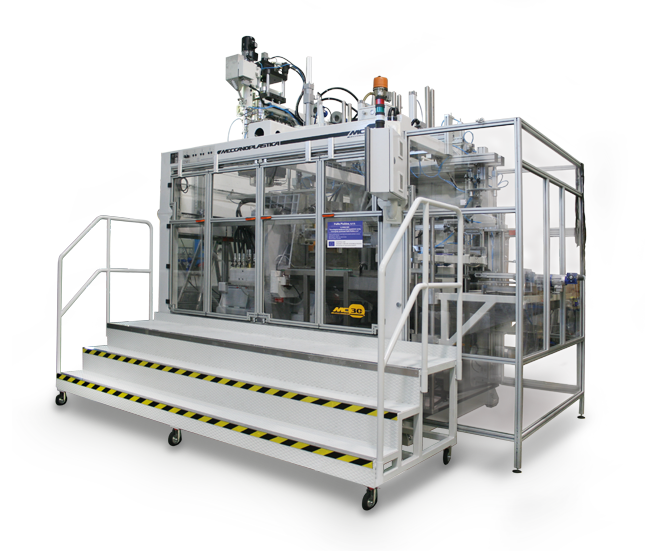 FIT to make bottles for the Cosmetics, Pharmaceutical, Food, Chemical and Cleaning industry with volumes ranging from 100 ml to 5L. Mould Clamping force: 9.5 tons. 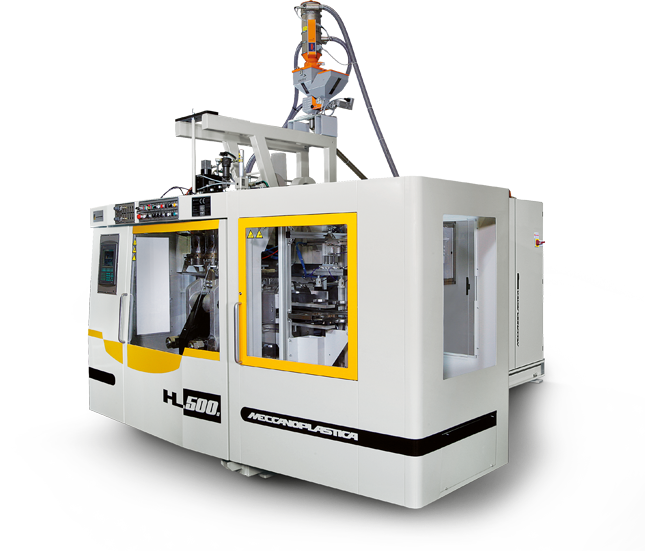 The HL series Extrusion Blow Moulding machines stand out for the Mould- Carriage stroke on horizontal prismatic guides and the “UP & DOWN” movement of the extruder by electric motor (“Bobbing”). 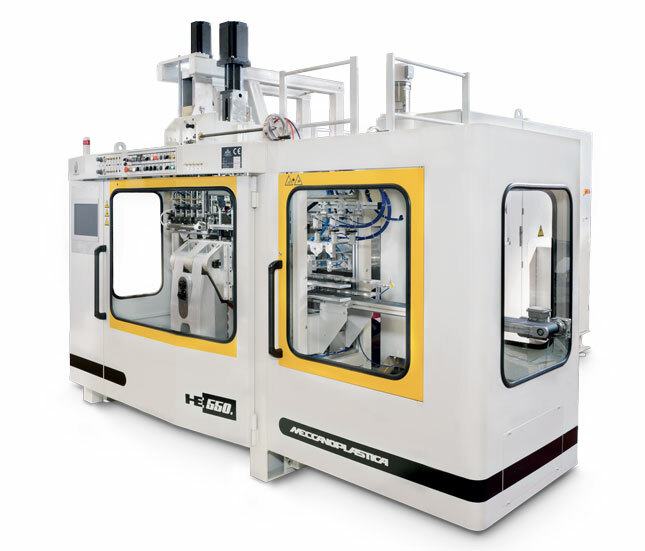 According to their design, these systems are particularly suitable for both very high production (multi cavity), as well as the implementation of containers of up to 15 litres in volume. 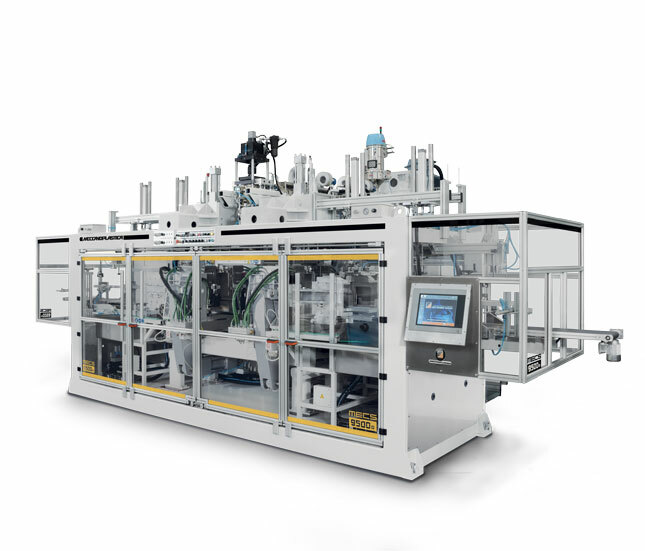 FIT to make multi-cavity bottles for the Cleaning, Chemical and Industrial sector, with volumes ranging from 1L to 5L. 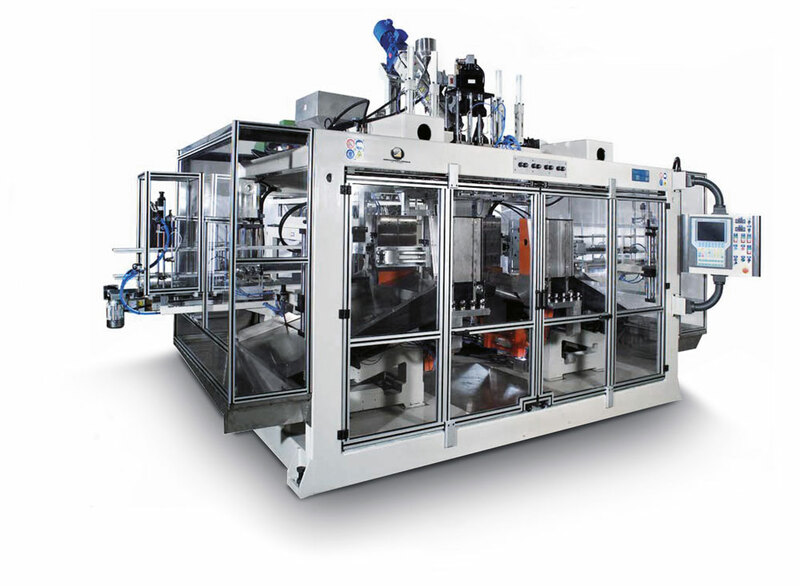 FIT to make multi-cavity bottles for the Cleaning, Chemical and Industrial sector, with volumes ranging from 1L to 15L. 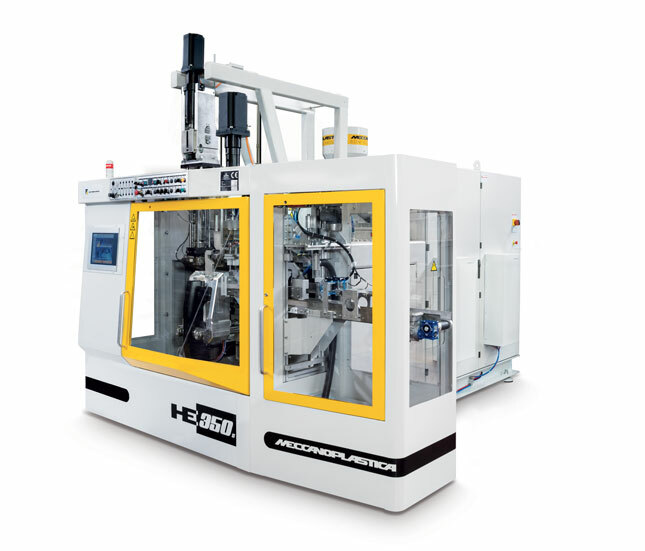 As well as being very quiet, the Extrusion Blow Moulding machines of the full-electric HL series ensure extremely high performance levels to ensure fast and accurate movements. 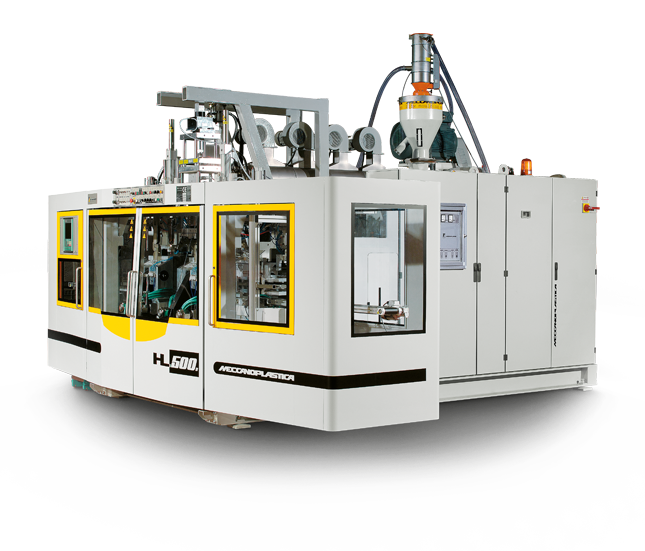 They allow for lower production consumption and are suitable for the production of containers of up to 20 litres in volume. 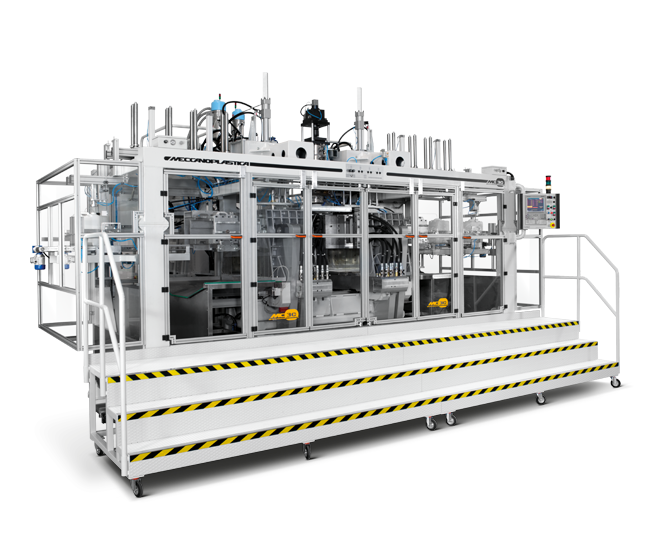 FIT to make multi-cavity bottles for the Cosmetics, Pharmaceutical, Food and Cleaning industry with volumes up to 2 litres. 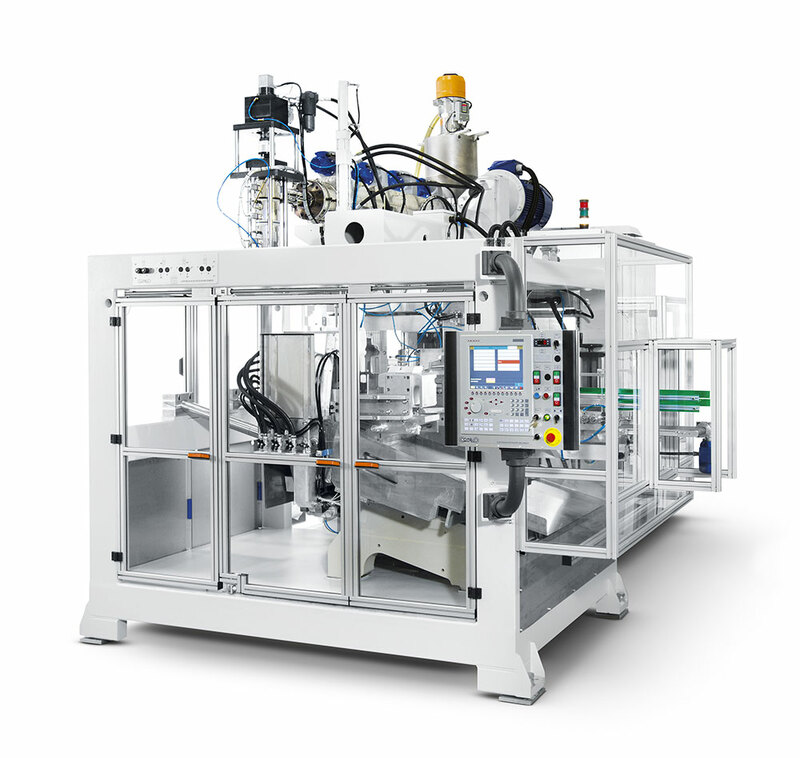 FIT to make multi-cavity bottles for the Cosmetics, Pharmaceutical, Food and Cleaning industry with volumes up to 5 litres. 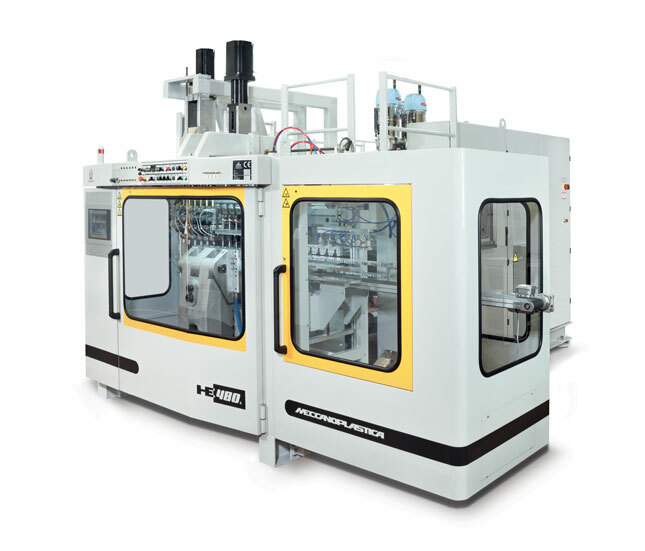 This machine it is suit to produce packaging (bottles & containers) produced with multi-cavities tools; for Detergents – Pharmaceutical – Cosmetic and Food containers – up to MAX 5 LITRI volume. 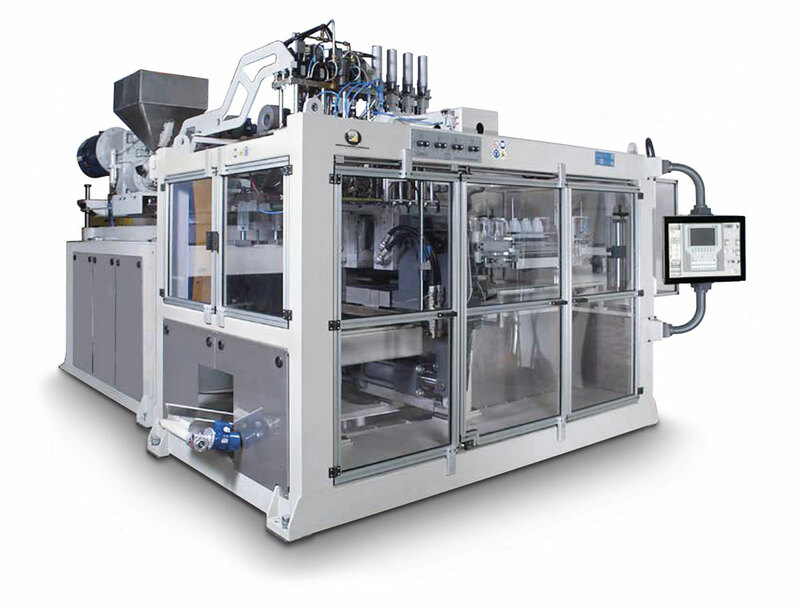 FIT to make multi-cavity bottles for the Cleaning and Industrial sector, as we as stackable Jerry-cans with volumes ranging from 5L to 25L. 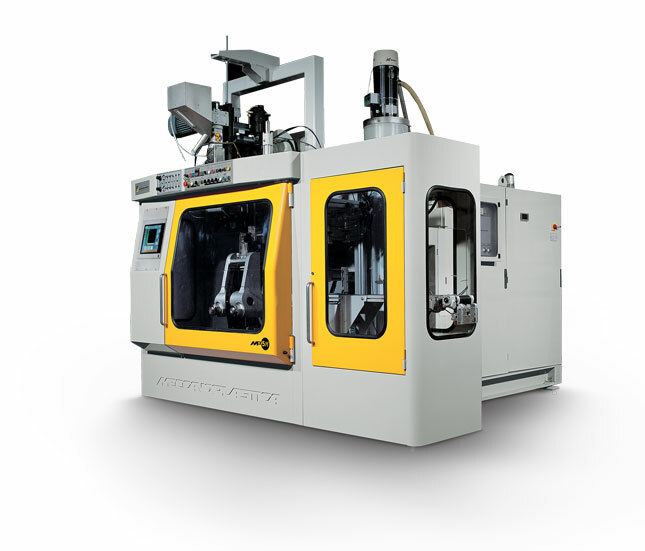 The MECS series stands out for its use of well-established hydraulic technology to move and open-close moulds. 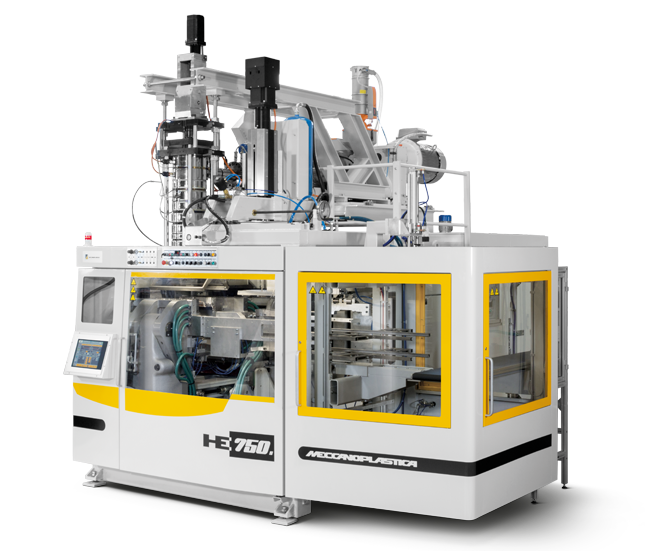 The cutting-edge electrical solutions of this series are designed and made to limit energy consumption, which is achieved by rotating the extruder screw through an Electric motor fitted with an Inverter. 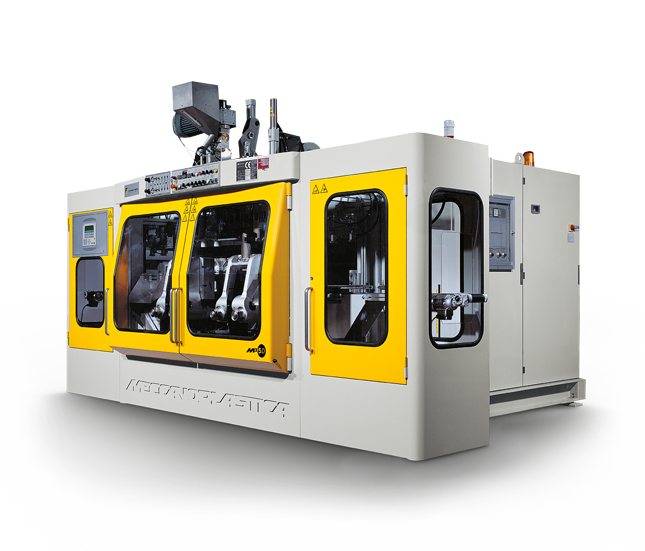 The machines provided as part of this series are perfect to make Jerry-cans and Technical items ranging from 10 to 25L.